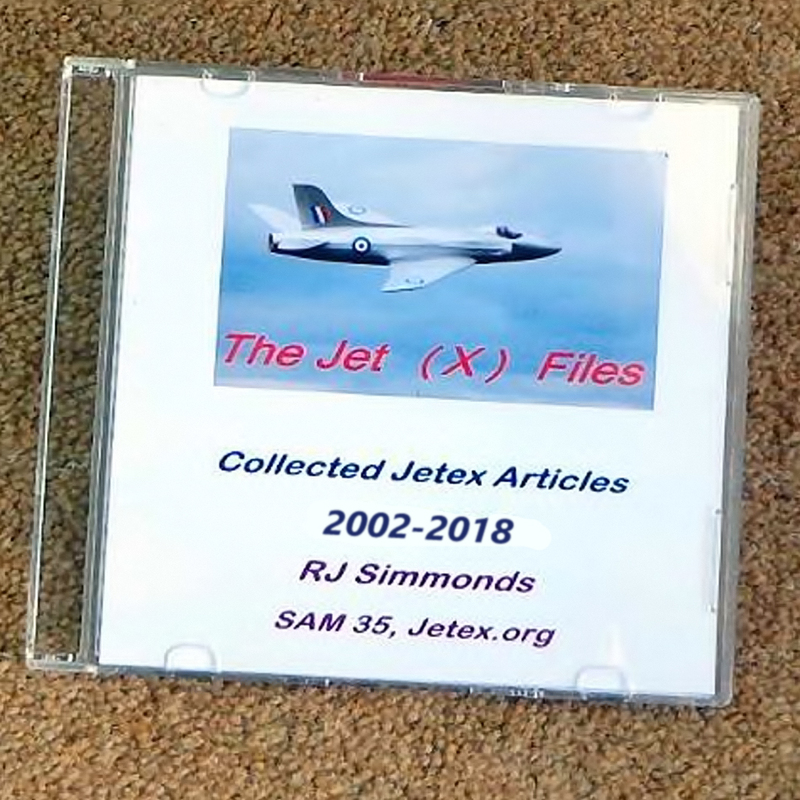 Noted 'Jetex' guru Dr R J Simmonds has published well over a hundred articles about 'small Jet Planes' between the end of 2002 and the end of 2018. These, first written for the prestigious 'Society of Antique Modellers', covered all aspects of small jet plane flying, including building and trimming, availability of motors and accessories, and the extensive history of Jetex in the UK, US and Europe. They are a vast fund of knowledge for the rocketeer and contain many many stories from the old days of aeromodelling.